Ballina, Co. Tipperary, Ireland - 1 February 2017 - IAMQC Transfer is a unique connectivity solution, developed by Technopath Clinical Diagnostics that can communicate with Laboratory Information Systems (LIS), Middleware, automated instrumentation and Point Of Care platforms. 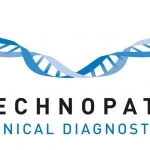 Technopath Clinical Diagnostics will be in attendance at MedLab in Dubai February 6- 9, stand no. : Z2 C57. If you would like to get more in-depth information on our Third Party Quality Controls and Quality Control Software solutions, please feel free to stop by and say hello. 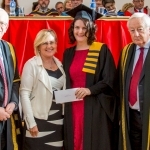 10 January 2017 – Technopath Clinical Diagnostics (TCD) has reached the next round of judging in this year’s European Business Awards, Europe’s largest business competition. This round of the competition calls for public votes to become the ‘National Public Champion’ for Ireland. Technopath Clinical Diagnostics fosters a culture of learning, development and continuous improvement in all areas of its business – the company constantly strives to improve the competencies and qualifications of employees by providing both internal and external training/mentoring programmes. 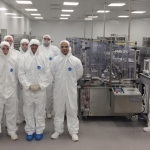 Technopath Clinical Diagnostics is pleased to announce the completion of its manufacturing facility expansion in Ballina, Co, Tipperary, Ireland. The new state of the art facilities are now in full commercial operation and will allow us to meet the significant growth in demand for our products on a global basis. 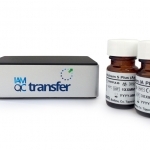 Technopath Clinical Diagnostics’ first diagnostic reagent product, i-plaq™ test for Lp-PLA2. Technopath Clinical Diagnostics launches its first diagnostic reagent product, the i-plaq™ test for Lp-PLA2. The i-plaq test for Lp-PLA2 is a simple blood test which measures Lipoprotein-Associated Phospholipase A2 as an aid to assessing risk of both coronary heart disease and ischemic stroke associated with atherosclerosis. i-plaq test represents entry into a large and growing new market segment for Technopath Clinical Diagnostics.